Just now TOR has released the official cover and synopsis of the second book in the The Dinosaur Lords series, The Dinosaur Knights. The art cover, which was created by Flaptraps art artist (Richard Anderson) outdid himself and I'll let you be the judge of it. 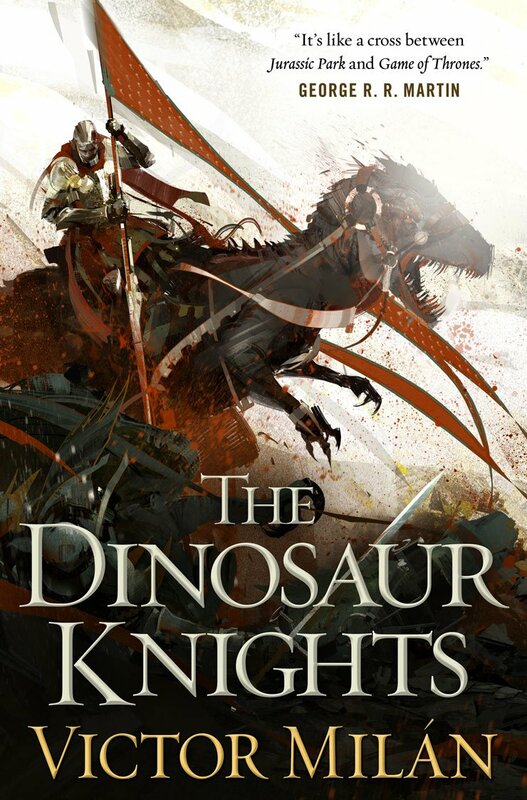 Check out the cover of The Dinosaur Knights by Victor Milan. The Dinosaur Knights by Victor Milan will be released on July 5, 2016.